One thing that can drive businesses crazy is the amount of spam they and their employees receive every day. Media City Way are always trying to improve their services and let businesses get on with their business. 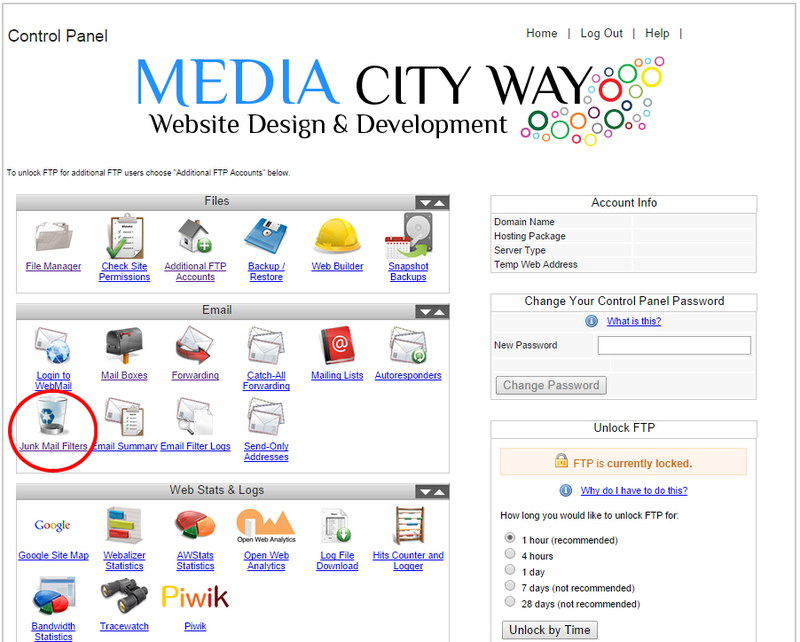 If you host your website with Media City Way you can use our power spam filters to automatically detect and remove spam before it lands in your email inbox. Scroll down the page slightly and you will see the Junk Mail Filter Levels, there is a description of each level from Low to Extremely High, we recommend you try a level out for a week and then up it by 1 level if you are still receiving high amounts of spam. Once you have selected your Junk Mail filter click the update button which is just above the title Reject by Sender. Changes on the mail server may take up to 2 hours to propagate. If you have any questions or comments please leave below and we'll respond as soon as we can.